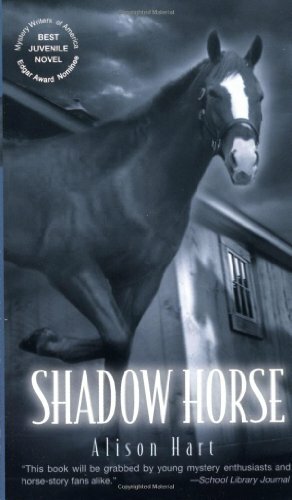 Thirteen-year-old Jasmine is found guilty of assaulting Hugh Robicheaux, the owner of the horse farm where she works. 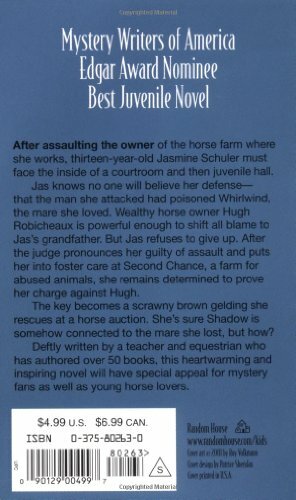 But she’s still determined to prove that Robicheaux killed Whirlwind, the mare she loved. 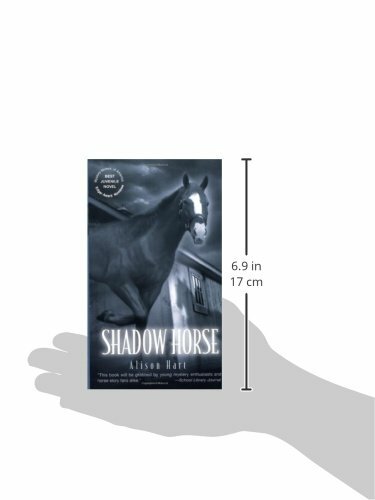 Jas is sure that Shadow Horse, a scrawny brown gelding she rescues at a horse auction, is the key to the mystery—but just how is Shadow Horse connected to Whirlwind?